we see a lot of white and bright kitchens out there, like yesterday’s beautiful kitchen from our food stories. but what about the dark side? i love a dark and dramatic kitchen. 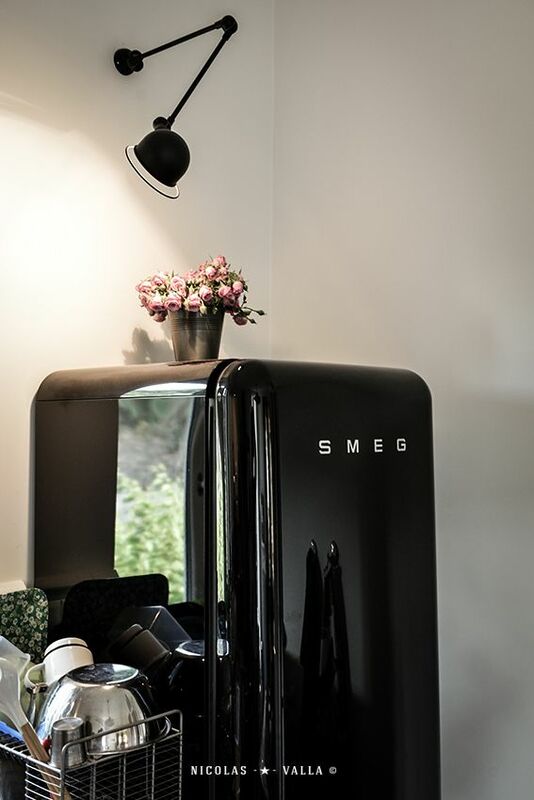 i’ve only gone partway there, with my black smeg fridge and appliances, but i’ve yet to pull the trigger on a totally black space. but look how sophisticated these kitchens look? all could take is a can of paint (my go-to black paint is benjamin moore’s onyx black) or perhaps you just tile your backsplash with some very black beauties like these from clé tiles. or, you can just chicken out and find yourself some black crockery, kitchen counter appliances, or the ultimate black smeg! • photography credits in order of appearance: no glitter no glory; kim verbist interiors; food52; @_foodstories_; kara rosenlund photography; domino; sfgirlbybay; my scandinavian home; my scandinavian home; my ideal home; grace bonney; our food stories; nicholas valla; my domaine; interior stylist laura seppanen; a.s. helsingo ; decor object</a; catherine kwong; lonny; remodelista; no glitter no glory; architectural digest; nordic design. Love a bit of drama!